This classic initial necklace is made from one piece of 18 gauge sterling silver wire and hand formed into the letter of your choice. 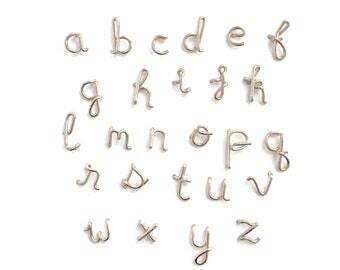 Your single letter pendant will be custom designed in cursive script and hangs from a delicate feminine sterling silver chain. This wire is slightly thicker than what I generally use for my adult name necklaces. The initial measures approximately 1/3- 3/4 inch wide and about 1/2 inch -3/4 inch tall, depending on the letter you choose. The "S" pendant on the model measures about 1/2 inch wide x 2/3 inch tall and is on an 18 inch chain, as a reference point. Select your own letter from A-Z from the drop down menu. Examples of all of the letters can be found in the third photograph in this listing. Great for brides, wedding parties, gift for friends. Rose Gold Initial Pendant. Custom Gold Initial Necklace. Personalized 14k Rose Gold Filled Letter Pendant. Personalized Initial Necklace. 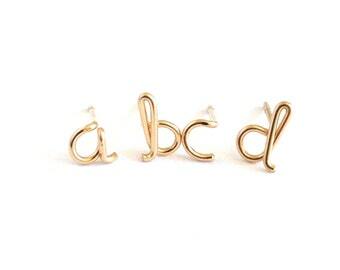 Gold Initial Pendant. Custom Gold Initial Necklace. Personalized Gold Letter Pendant.Letter Necklace. Personalized Script Initial Necklace. 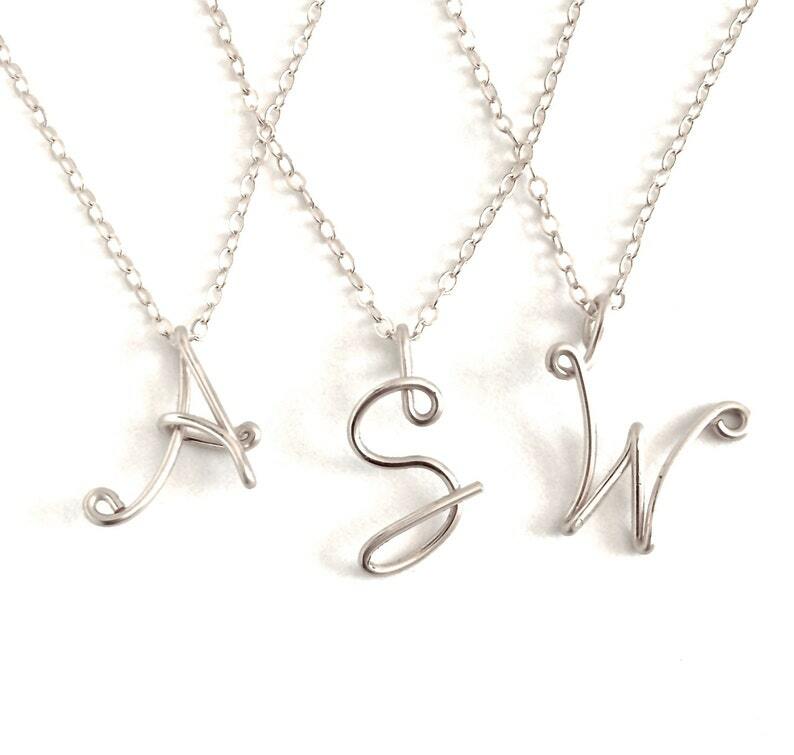 It's nice to know that you can have a necklace with the unique spelling of your name. The craftsmanship is great! The communication was great! The necklace(s) are Perfect! Will definitely be ordering more in the future! Name Necklace. Gold Name Necklace. Personalized Custom 14k Gold Filled Name Necklace. Graduation Gift. Birthday Gift. Teen Gift Under 100.